For years, brands relied on actors, singers, athletes and other ‘traditional’ celebrities to endorse their products in commercials. Most recently, the combination of the rise of social media and consumers’ growing distaste for advertising has propelled anyone who produces content and has a somewhat substantial following to the rank of ‘influencer’ and in many cases ‘social media celebrity’. While many articles have been published on how to create a successful social media influencer campaign, few look at the psychology behind influencer marketing. Drawing from both academic and marketing literature, let’s investigate influence through the lens of consumer psychology, zeroing in on the concepts of frequency of exposure, proximity and conformity. The more time we spend viewing content from a social personality we admire, the more likely we are to be influenced by the content he or she posts. Jiyoung Chae, assistant professor at the National University of Singapore, has studied female envy towards social media influencers. Her research shows that when exposed to influencers’ social media content, people go through a psychological process of social comparison. The more people are exposed to this content, the more self-conscious they become and the more envious they become of the luxurious lifestyle depicted in the influencer’s content. With traditional advertising, consumers exposed to the same message several times are more likely to remember the brand and/or product advertised. However, people become irritated if they see an ad too often, as it feels intrusive and irritating. In contrast, people who use social media have opted to follow the content made available by the influencer. That is, not only do they agree to be exposed to the content, they proactively seek this content. Traditional celebrities and social media influencers have different social distances; that is, people feel socially closer to influencers than they do to celebrities. Traditional celebrities come across as more distant because they tend to be more popular and do not share their private life extensively with their fans. When traditional celebrities endorse a brand, people are more likely to recall the message and associate the brand with the attributes acquired by the celebrity, such as likability, dynamism and trustworthiness. In contrast, social media influencers feel closer to us as they document details of their personal life through social media channels. Followers are therefore more engaged with the influencer and the brands she or he endorses. 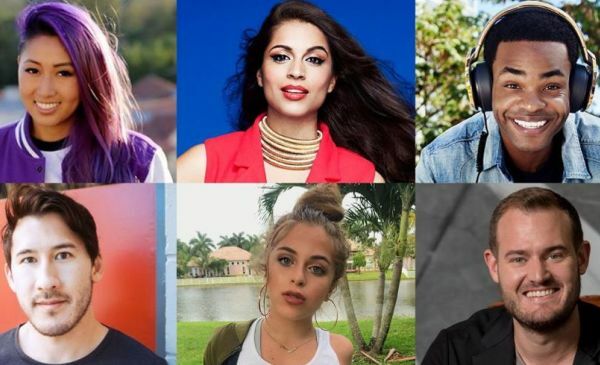 Unlike traditional celebrities, social media influencers are also considered experts in their field. Influencers embrace the role of trusted advisor and therefore greatly impact the attitudes, beliefs and actions of their followers. In 2008, Seth Godin popularized the concept of consumer tribes, whereby humans are wired to form tribes of people who connect to one another, a leader and an idea. This same concept applies to today’s social media world. When following a social influencer, people join a particular social group of like-minded people with similar interests and aspirations. When this influencer endorses a product, its audience will unconsciously consider purchasing this product. By purchasing the product, the consumer confirms its membership in this social group. There are many other dimensions to the psychology of influencer marketing. In the near future on Branding Strategy Insider, I will be investigating vicarious consumption (we live through influencers), sense of fulfillment (following influencers feels satisfying) and the illusion of majority (we think something or someone is more popular that it actually is). In the interim, let me know what you think of social influencers. What impact are they having on your brand?